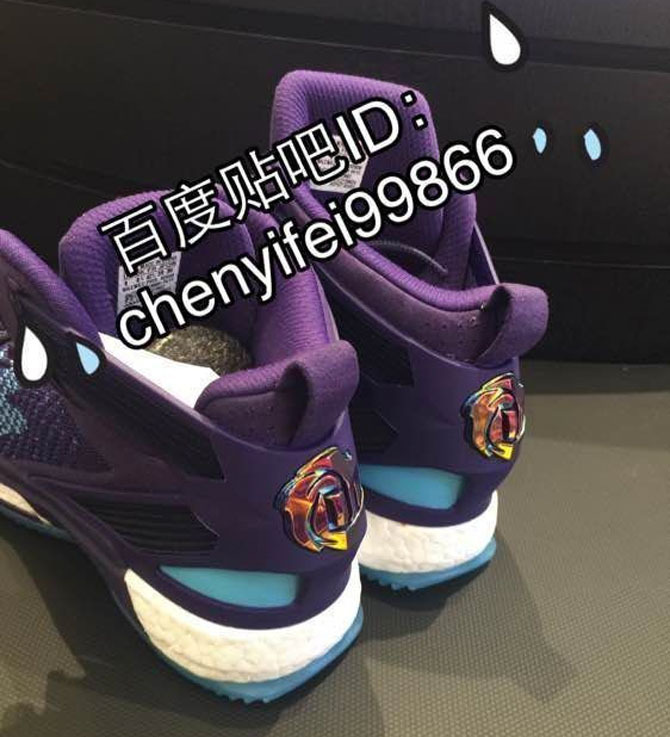 This may be Rose's All-Star sneaker. Currently enjoying success as the base layer for the Yeezy 350 Boost, Primeknit is making its debut in basketball this season. The first hoop shoe to make use of the knitted technology is the Crazylight Boost 2015, but it will extend to signature lines as the season progresses. 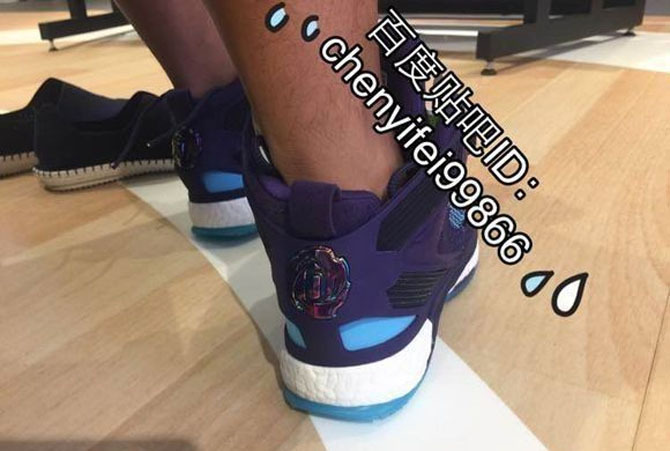 Seen here is what's being called the "All-Star" D Rose 6, which features a Primeknit upper — different from the diamond patterned synthetics and mesh used on the launch versions. 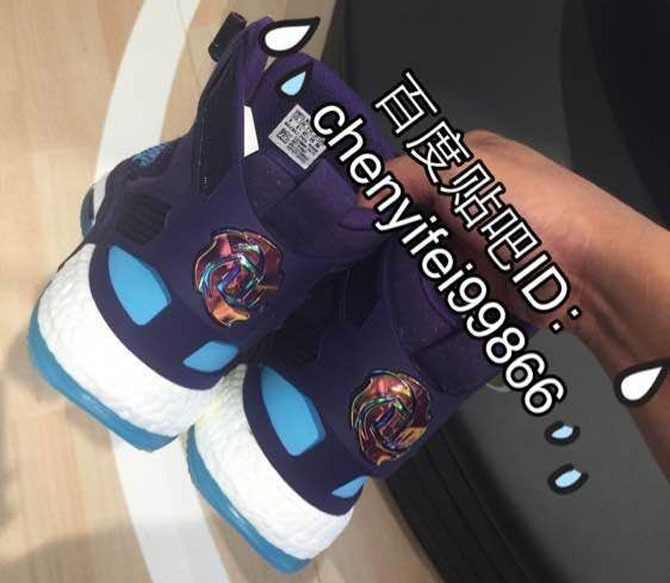 As for the colorway, the shoe is styled in purple in teal, which may hint at the All-Star uniform designs. 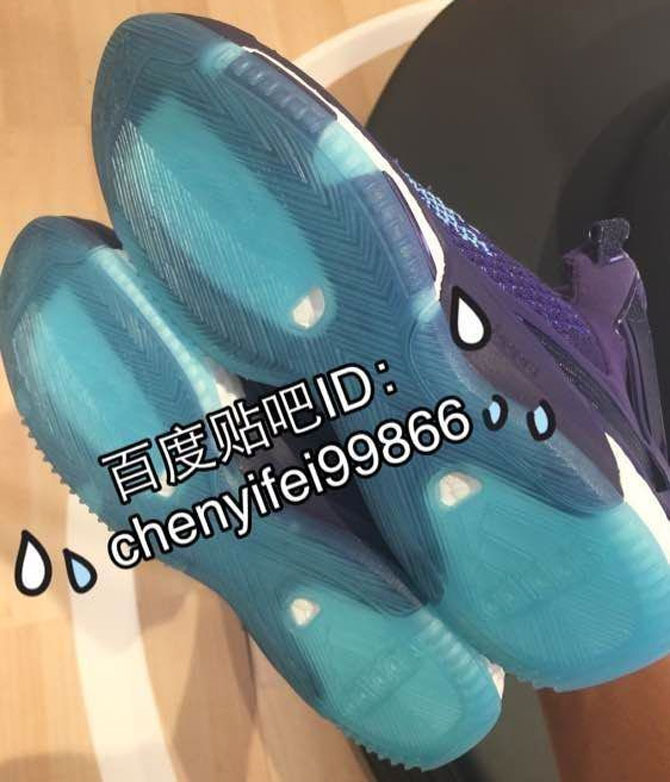 A city skyline (possibly Toronto) appears on the toeboxes, showing the possibilities of what Primeknit could mean for basketball footwear design. The FitFrame strap system is branded with an iridescent DROSE logo. 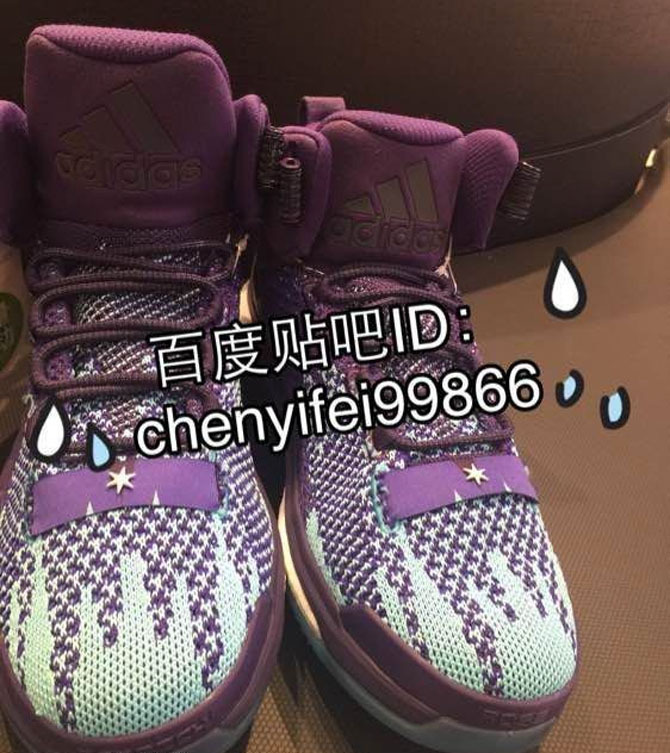 This shoe isn't confirmed for All-Star Weekend and is likely an early stage sample. 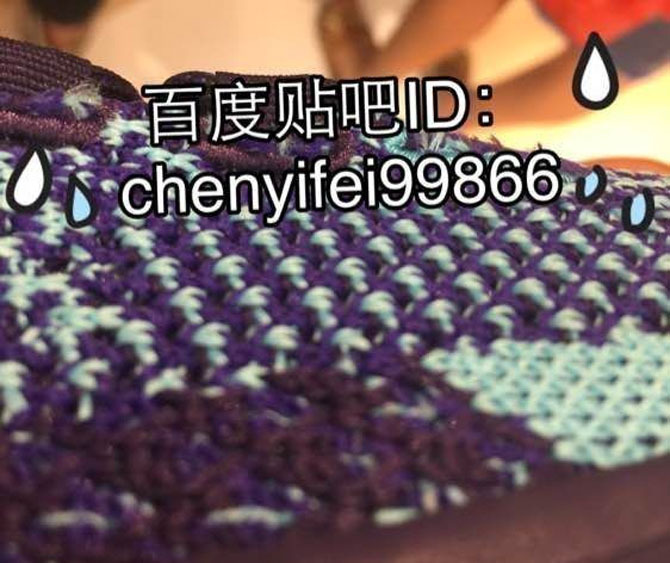 If this all plays out, the D Rose 6 Primeknit could debut early next year.